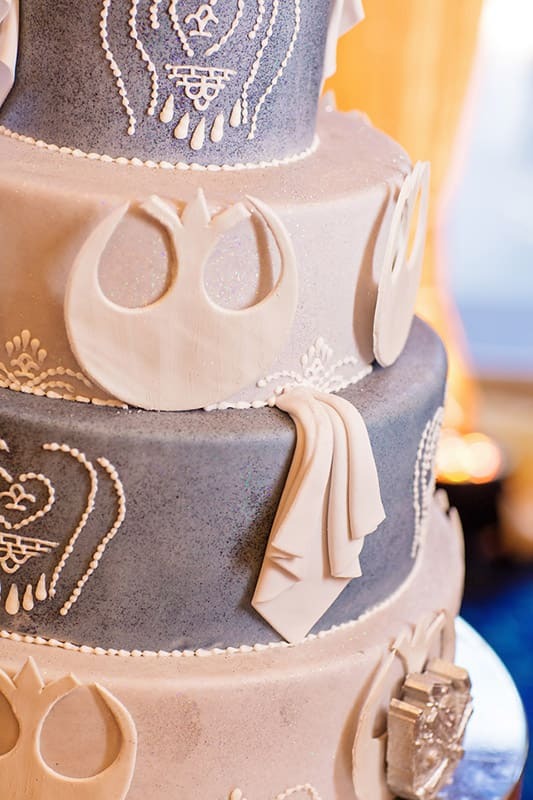 In honor of May the 4th tomorrow, I wanted to share with you this interstellar cake inspired by the Rebel Alliance. Adorned with spacecraft from around the galaxy, this four-tier dazzler is sure to delight any Star Wars fans. 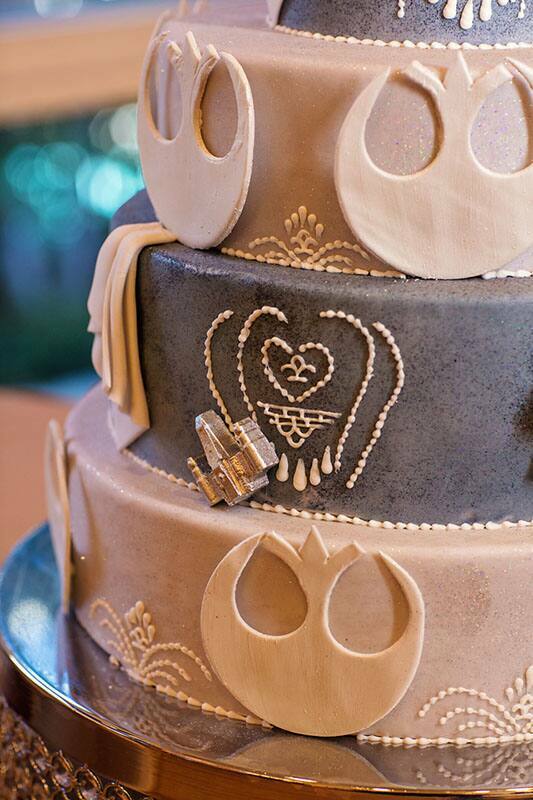 It even includes a Death Star cake topper and intricate piping details throughout. 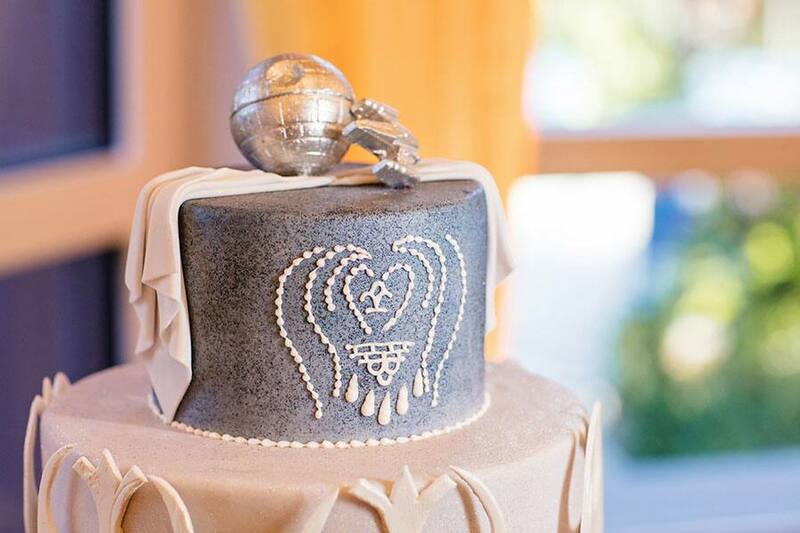 This cake is a wonderful way to incorporate the film while still maintaining a classic wedding elegance. 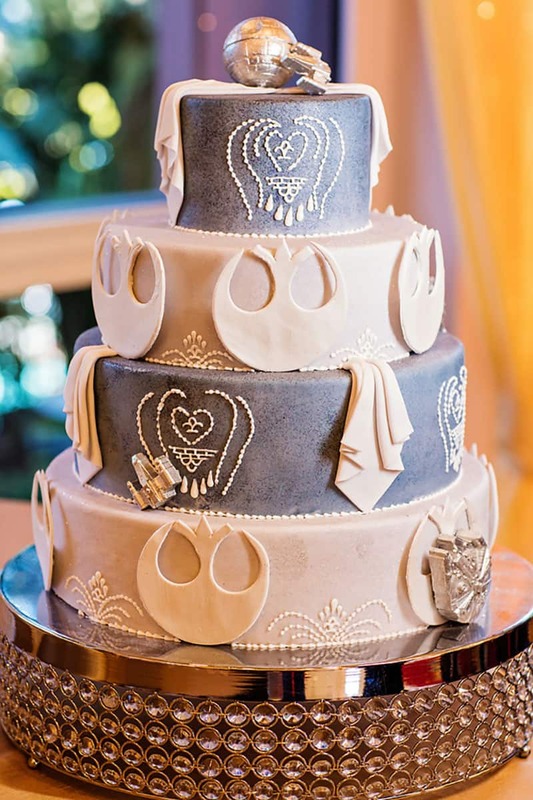 Your guests won't be able to stay away, so may the fork be with you!